I got this wonderful 3D Pop up Panel card at a recent demonstrator swap from Brenda Montesano. 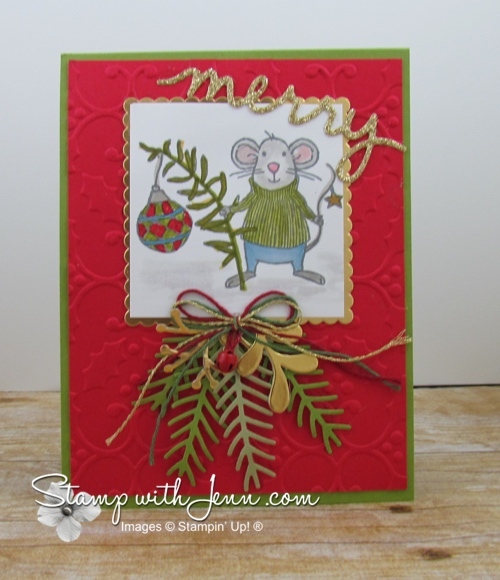 Brenda used the Merry Mice stamp set for this fun technique card. I love how she stamped the mice several times to get that amazing marching line of mice! I haven’t made a card like this Pop Up Panel card, but I’ve seen a few recently and it is next on my list to do. And once, I figure it out, I’ll make a video to show you. 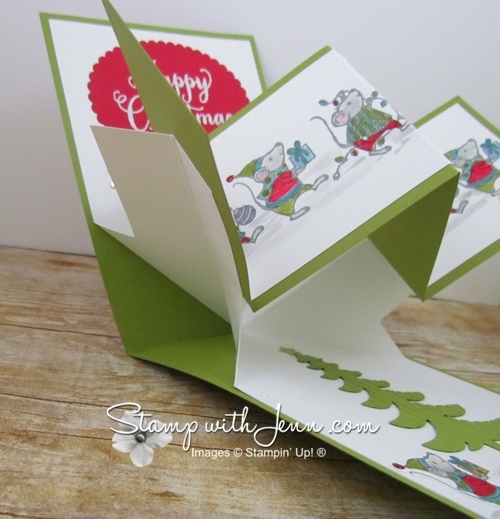 But I did find this tutorial online to show you roughly how to make this amazing card. And I’ve got a few pictures to show you below for those of you who like to figure out these stepped up cards. Don’t forget that the Merry Mice Stamp set is on sale this month for 25% off (see the other stamp sets on sale in this flyer here). This is the front of Brenda’s card. Love the little pine bough accent and how it matches the image. 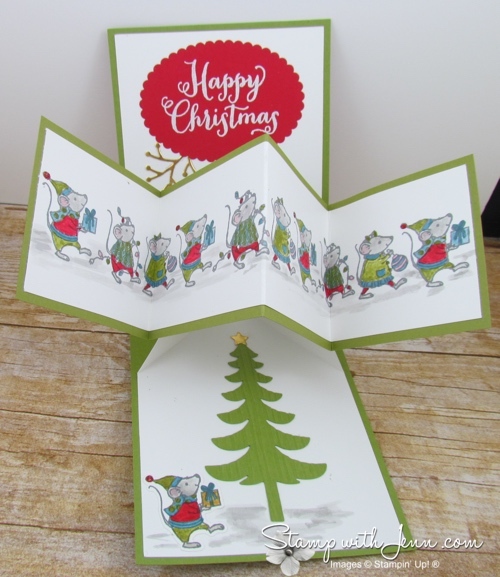 Be sure to check out the posts on my blog in the last week for more Merry Mice cards. Check out the stamp sets on special this month, in my online store.